French government steps in takeover of STX France, which is 66.64% owned by bankrupted South Korean STX Offshore & Shipbuilding. 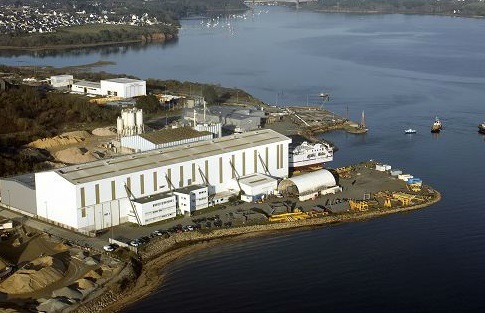 The government holds the remaining 33.34% stake from the shipyard and the Saint-Nazaire facility employs around 2,600 workers, being important for the local economy. The shipyard is highly reliant on French technology, constructing a wide range of commercial, naval and passenger ships. The relation of the shipyard with French naval technologies, makes it strategic for the country, which increases the interest of the government top steps in with acquisition. The new for increasing interest of French government to steps in takeover of STX France, come after the news that South Korean bankruptcy court planned to sell STX Offshore & Shipbuilding and STX France in package deal to unnamed British company for 906 million USD. however, according to the analysts in the sector, this is still a possibility, with the French government seeing Chinese investors taking entities in a package deal to the the biggest threat to its plan. “All options are on the table. The government could increase its stake, alone or not, and take a majority stake in STX France as long as necessary”, said the representative of the French government, commenting the rumors. STX France is the owner of the Saint-Nazaire facility, which is one of the world’s largest shipyards, constructing a wide range of commercial, naval and passenger ships.